Custom Printed Letter, Document and Large Business Envelopes. 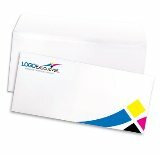 Need a Free Custom Envelope Printing Quote or help with your online printing order? Call us at (702) 589-6429 to speak with a Envelope Printing specialist.